What to do if your Constellation starts to slow down? The slow running movement is usually a sign that your watch needs to have at least a check up. I would advance the argument that a watch is running seriously slow if it begins to lose more seconds per day that can be compensated by its micronometer regulator. 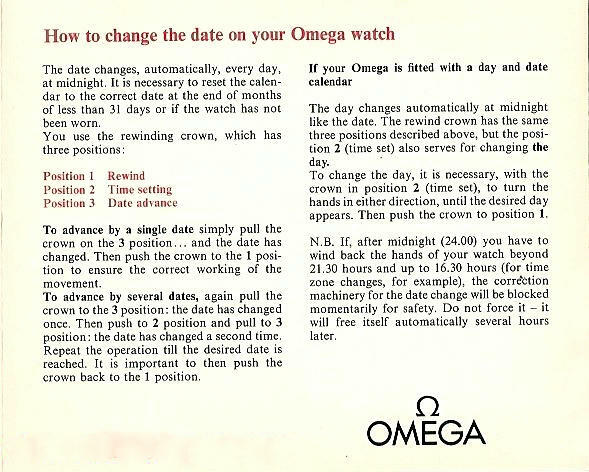 As vintage Omega Constellations and other comparable vintage watches increase in value, it is important to protect your investment, and that means not wearing a watch until it drops. Regular servicing can extend the life of a vintage watch through generations, but the slow running watch if left to its own devices will ultimately grind to a halt.